Register for the 9th Annual Fairfax Run for the Children! Get ready to run! Make sure to mark your calendars for our 9th annual Fairfax Run for the Children, our superhero themed 8K Race and 3K Run/Walk. 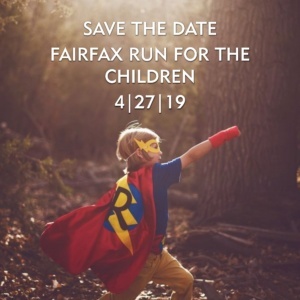 Help us celebrate this community tradition on Saturday, April 27, 2019, which promotes awareness about child abuse and neglect and raises money to help Fairfax CASA volunteers advocate for those children under the court’s protection. The race will again be held at the Fairfax County Courthouse complex and feature music, wonderful food, great prizes and raffle items. Click here to get registered for this year’s race! See what’s new at Fairfax CASA with this March edition of our newsletter! Inside we talk our upcoming Run for the Children, Women’s History Month, Swearing in new CASAs, and more!